The government is already processing the establishment of Overseas Filipino Workers (OFW) Bank. Labor and Employment Secretary Silvestre Bello III said this will recognize the significant contribution of modern-day heroes of the Philippines. Bello revealed that his memo to President Rodrigo Duterte regarding the establishment of OFW Bank was already initially approved. He said the OFW Bank will be operation by the end of the year of by first quarter of 2017. 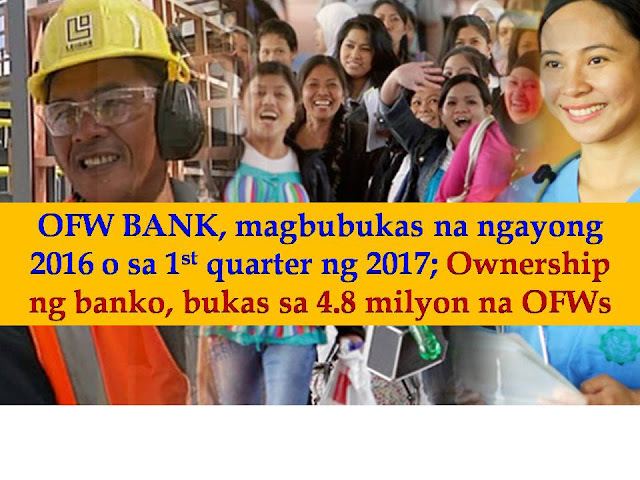 According to the labor chief, the ownership of the bank will be open to all 4.8-million OFWs at P1,000 per share. It will be the largest commercial bank in the country bankroll key government and private projects geared toward sustainable economic growth. 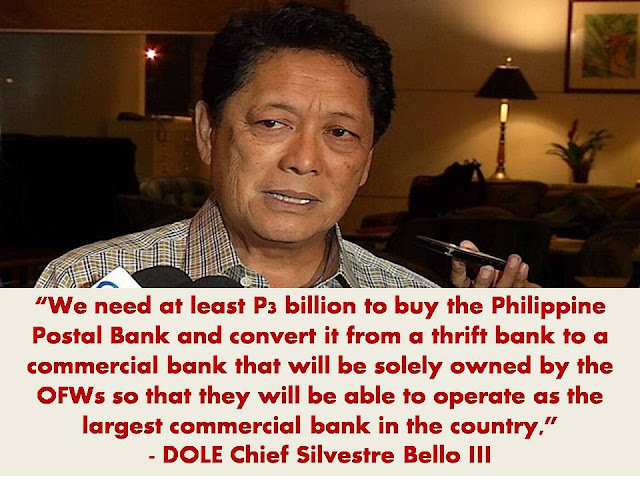 Bello added that the capital of the bank which amounted to P3 billion will come from the funds of Overseas Workers Welfare Administration, the Employees Compensation Commission and the OFWs themselves which initially amount to P80 billion. Philippine Postal Corp. (PHLPost) assistant postmaster general for marketing Luis Carlos is supporting the idea of President Duterte to convert Philippine Postal Savings Bank (Postal Bank) into OFW bank. 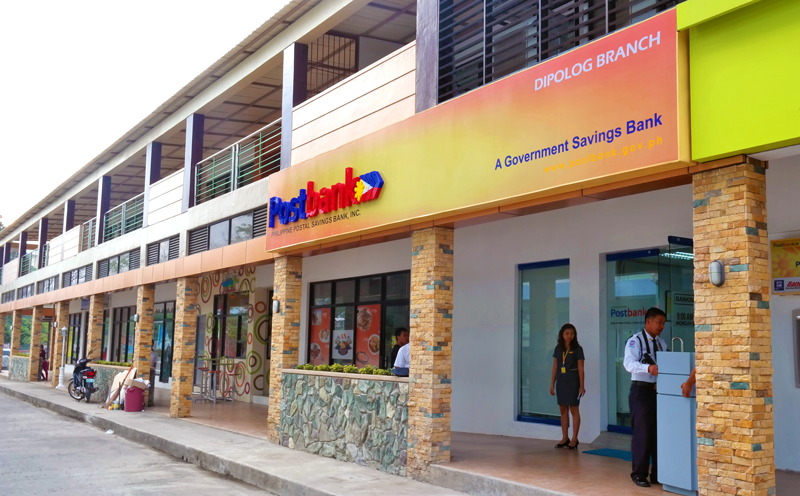 Through Postal Bank, Carlos believe that it will deliver better services to OFWs and their families. “It is a good idea if the President would like to do that… To me it makes sense because some of the postal corporations in other countries already have banking functions inside their post offices,” said Carlos. 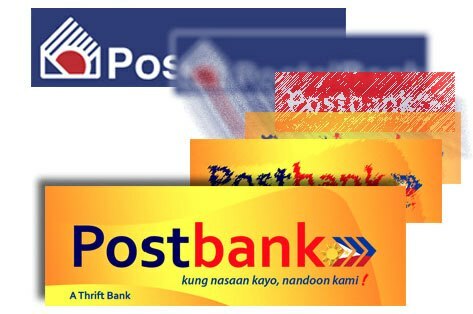 There are only 25 branches of Postal Bank in the whole country but it could tap more than 1,000 branches and couriers of PHLPost all over the Philippines to help deliver OFW remittances.